The properties of metals provide unique benefits and advantage for their recycling. Unlike other recycled materials, such as paper and plastic, metals can be repeatedly recycled without degradation of their properties. Metals from secondary sources are just as good as metals from the primary sources. Recycling widens the efficient use of metals and minerals, reduces pressures on landfills and incinerators, which results in significant major energy savings compared to primary production. We are D-U-N-S Registered and professionally managed company. The promoters are in ferrous metal scrap (HMS) business over a decade. We are reputed importers of ferrous metal scrap mainly in 20' containers, catering to our clients. Our clients are end users, as well as traders of scrap, and always looking for substantial quantities to meet their demand. We believe in long term business relations with our buyers and sellers, equally. 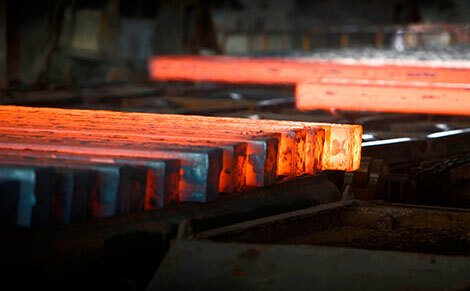 We aim at sourcing good quality metal scrap, from the reputed and established yards worldwide. We are interested to buy any kind of ferrous metal scrap. We also buy CR Cutting and Punching scrap, on regular basis.